Your Travel Memories is the natural progression of owner Laura Kay House's love of travel and involvement in the travel industry for over 25 years. Ms. House grew up traveling from a young age with her family. Then, after graduation from college, she began a 17 year career as a flight attendant with Delta Air Lines. Not only traveling all over the world while working, she took advantage of the free travel benefit and traveled extensively on her off time. From riding a gondola in Venice, to visiting every state in the U.S., having High Tea at the Empress Hotel in Victoria-BC, listening to a Mozart classical performance in Salzburg or taking the Orient Express from London.....her love of travel only grew. 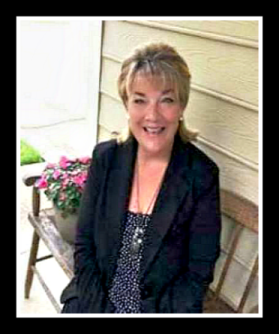 Laura Kay began a company in 2007 called Silver Connections which is a membership organization that provides socializing opportunities through local events and travel for active, single adults, age 55 + in the Triangle area of North Carolina. Silver Connections is a thriving and growing business (website link on the left sidebar), has won several awards in the last 11 years, will continue to provide socializing opportunities for it's members and always welcomes new members! Your Travel Memories is a separate company which concentrates solely on travel for age 55 and over singles, couples and organizations. Laura Kay's experience providing group travel for Silver Connections members (both international and domestic) has only increased her passion of working in the travel industry and providing trips specifically for all of those age 55+. In addition, Laura Kay has an undergraduate degree in Social Work and a Masters Degree in Gerontology (study of the social, psychological and biological aspects of aging). She also is certified as a "Travel Specialist" by Collette Travel - having taken and passed several tests demonstrating her knowledge of working in group travel. Extensive travel and years in the travel industry, in addition to the education and experience working with age 55+ adults, enables Laura Kay to provide you with an exceptional, one of a kind travel experience with Your Travel Memories!